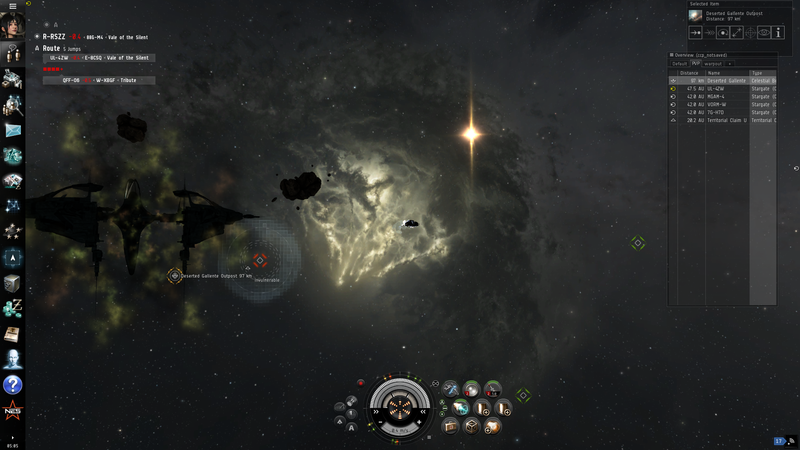 Aurora News: Strange bright star appears in the sky across New Eden! 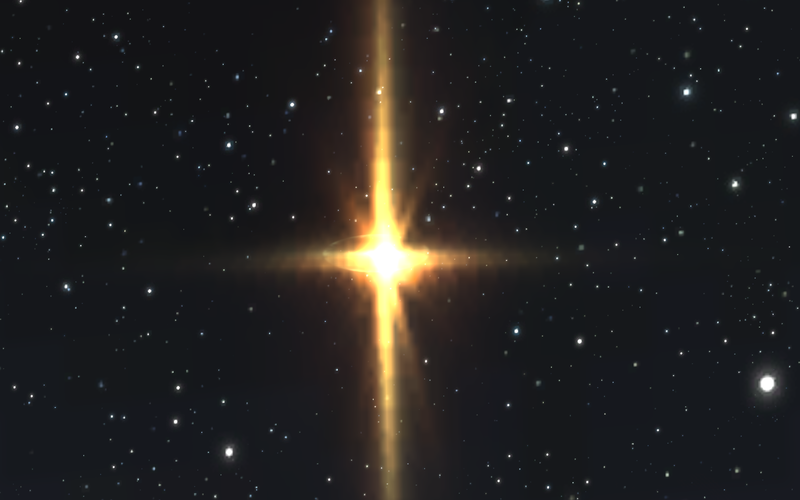 Strange bright star appears in the sky across New Eden! It all began when news came in about unusual Nation activity in the Oasa region. Nation ships where spotted withdrawing from the region by using stargates instead of their usual wormhole routes. In response to this observation, capsuleers went to the region, trying to discover what prevented Nation from using their wormhole technology. Despite some rumours about the locals about strange wormhole activity, nothing was found. However, Caroline Grace noticed something odd about one of the stars she could see, it was unusually bright compared to the others and had a curious vertical lightflare, setting it apart from the others. Shortly after Grace shared this find, reports began pouring in across the cluster about people seeing this star as well! The flood of reports made a few things immediately clear. The star was easily identified by others, thanks to its vertical lightflare and usually its brightness (in the farthest regions, only its unusual vertical flare set it apart). 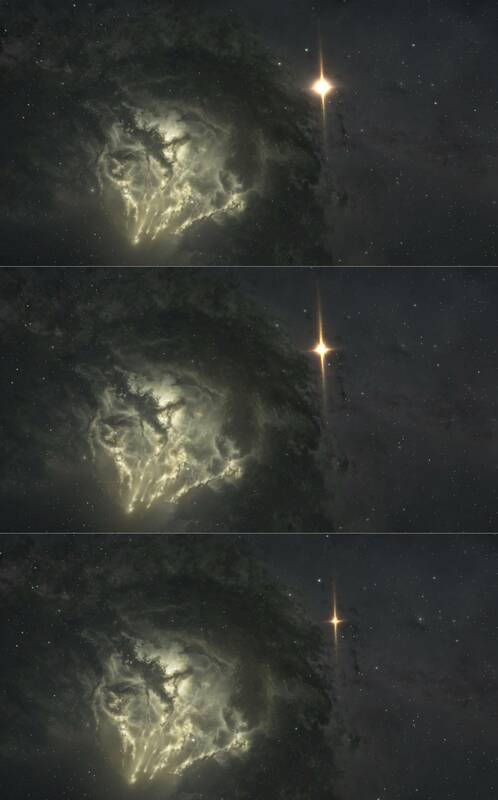 It could also be seen from every spot in New Eden, if you knew where to look. However, the bright star could not be seen in Anoikis, wormhole space. Thanks to the large number of capsuleers contributing, the area where this stellar event occurred was rapidly spotted, namely roughly in the east of Jove Space, in the remote UUA-F4 region, possibly the W477-P system. However what it is remains unanswered. The fact that this stellar phenomenon could be spotted simultaneously across the galaxy indicates an FTL event (Faster Then Light), and not a mere star gone supernova. 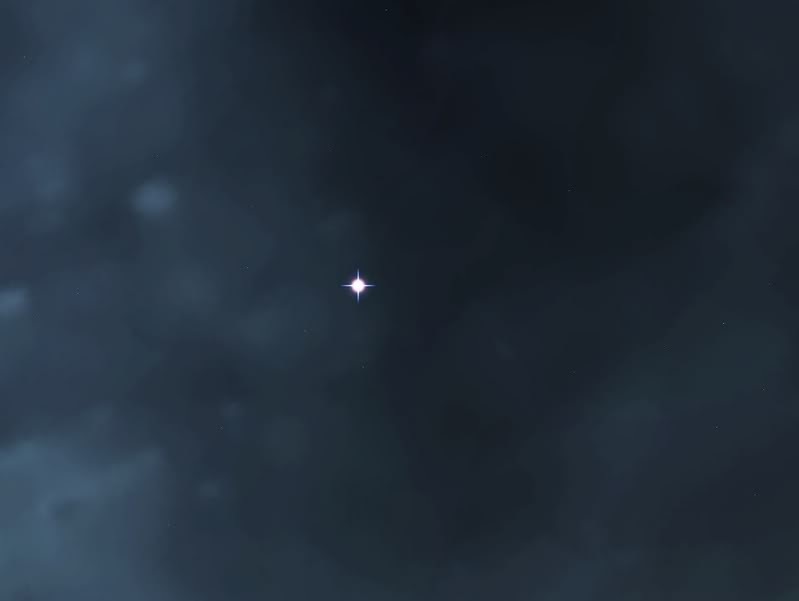 Also, continued observations by capsuleers have confirmed that the Bright Star is still increasing in luminosity! You can follow the evolution of Caroline's Star here: Stellar Event Observations by capsuleer Neophage Hashur. 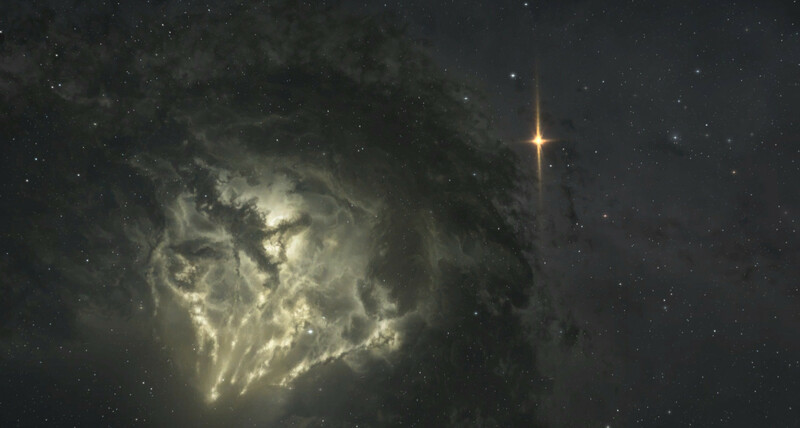 Currently, most observations come from Vale of the Silent, as this region is believed to be the closest to the stellar anomaly, attributed to the fact that it shines there brighter then anywhere else. Due to this, many capsuleers ventured there to make their observations. It's also the place to be for the more spectacular images about this phenomenon. Currently, the mainstream media also picked up on this strange event and is equally confused: Stellar Anomaly detected by Capsuleers, Scientists baffled by superluminal effects! However, all this commotion made people think back on the first 'Bright Star' phenomenon. Indeed, this is not the first time such stellar phenomenon occurred! In YC 109, a similar event happened, a bright star appeared in the night sky across all of New Eden, outshining any other star! 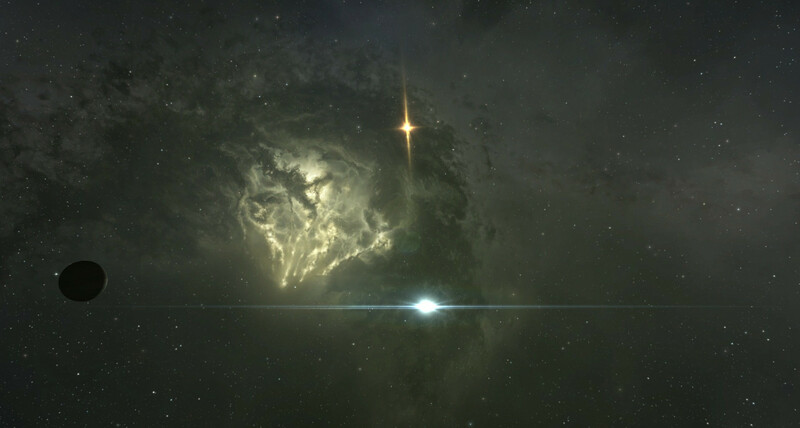 The star was clearly visible from every system in New Eden, indicating a very powerful stellar occurrence. At the time, there was alot of speculation on what it was and what it meant. In the end, not much could be proven, keeping it all hypothetical. As time moved on, people grew accustomed to the new star, until it vanished 3 months after it was first spotted. The sudden appearance & disappearance baffled scientists who couldn't find a satisfactory explanation. Exactly a year after its disappearance, the Seyllin incident occurred, where several stars across the cluster went nova and shattered worlds, among it the colonized world of Seyllin I. Shortly after, the wormholes were discovered, and with them, the sleepers! At the time of the first Bright Star, nobody knew it's relevance, neither did many made the link with the appearance of wormholes a year later. It was thought this first Bright Star was just some curious anomaly. However, with this new orange Bright Star appearing, there's too much similarities going on to be ignored. Right now, there's alot of upheaval about wormholes & changed sleeper behaviour, not to mention the whole situation around Hilen Tukoss. And amidst this all, a second Bright Star is seen? Too much of a coincidence to be unrelated. While the science behind it is still not understood, it's believed that this stellar phenomenon of the 'Bright Star' is somehow connected with Wormhole Space, albeit it can't be seen from there. In the end, only time will tell. Right now we have to accumulate as much as possible info about this event as we can and remain vigilant! Also, keep your guard up in Wormhole systems for any possible oddities that might arise! However, should the link between these 'Bright Star' phenomenons be true and that they are connected with Wormhole space somehow, then we're on the brink of interesting times as the last time it occurred, planets got shattered and a whole new area of space was discovered, Anoikis! If this current stellar event has similar results, it will be on a smaller scale, as the Bright Star is not as luminous as the first one, who could be seen easily in every system of New Eden, while the current one is only easily spotted in systems close to the Jove Empire. But those systems closest to it do report that in some cases the new Bright Star rivals their own sun in brightness! This large shift in brightness depending on where you are does confirm that it happens very close to us, unlike the first bright Star event that was roughly equally luminous for all of New Eden, where it was eventually triangulated to occur far, far away from us. However, the new Bright Star is still brightening, so perhaps this statement might be revoked in the near future! Still ongoing, observations on Caroline's Star! Below shows some spectacular images of the rising brightness of the stellar phenomenon, equaling or even outshining the local sun before it collapses into the green nebula later! The new Bright Star almost rivals the system's own sun in luminosity! Right now, capsuleers all across Eden are working together to collect as much info as we can, attempting to uncover more about the stellar phenomenon to be able to verify or denounce certain theories. Also, much effort is being put in to keep an eye out for the changes in brightness, in the hope that predictions can be made about future shifts of this phenomenon. In the last few days, a new observation has been made! A faint ring appeared around Caronline's Star, expanding over the days. While there's still much speculation what the phenomenon is, this ring seems to support the Core Collapse Supernova hypothesis, as a growing shockwave ring can be expected from such event. Hopefully the coming days will shed more light on the stellar anomaly! As observed for over a week, Caroline's Star's luminosity collapsed, leaving behind a green, strangely shaped expanding nebula. Capsuleers EdXell and Radax Glenn made great image libraries of the new Bright Star & how it looks from a variety of regions: EdXell's galaxy tour of the Bright Star views & Radax Glenn' Dark Matter views of the 'Bright Star' across the cluster.